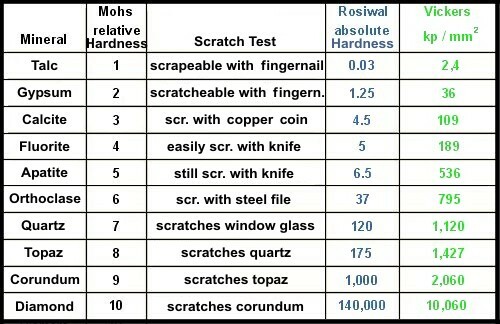 What is MoH’s Scale of Hardness? – The MoH’s Scale of hardness was developed by Friedrich Mohs, and is used to identify which minerals are hardest. At the top of the scale are diamonds, with a hardness of 10. Conversely, at the bottom of the scale is talc at 1.